AP tests are right around the corner (next week! ), and I put together a couple of classroom posters for you. You can download them for FREE at my Teachers Pay Teachers shop. Enjoy! 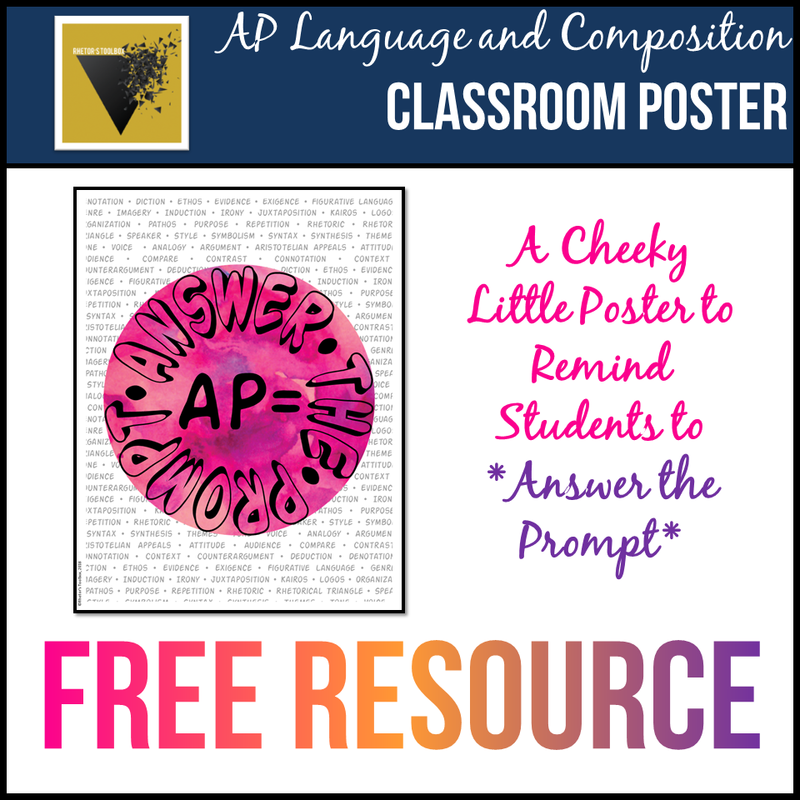 CLICK HERE for the AP Lang & Comp poster. 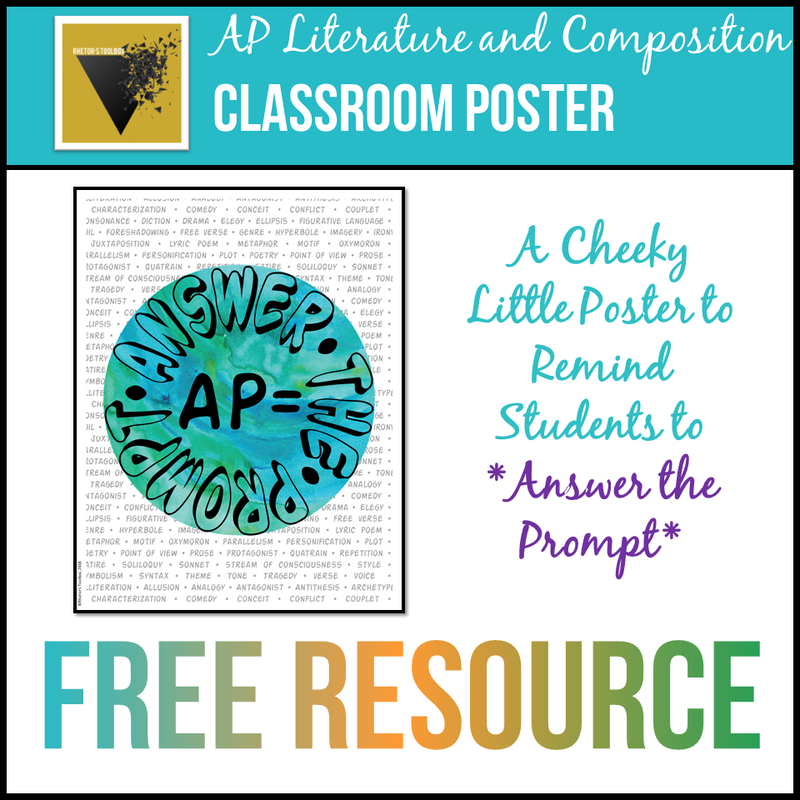 CLICK HERE for the AP Lit & Comp poster.